I’m told that there is an old Chinese saying that goes: “A storm never lasts all day.” I first heard this back in the early ’80s when I commenced training and it has stuck with me ever since. Clearly, storms can and do last longer then 24 hours; this is meteorological fact. So what is the old proverb trying to say? Well I have always understood “day” to mean “a relatively short time”. For example, storms clearly don’t go on for weeks or months. They mostly last for much shorter periods. And these come and go. They are part of a natural cycle. So, in times of great stress or difficulty I’ve always drawn comfort from the knowledge that, in a relatively short time, things would change. Indeed, change is the one “constant”. As my first teacher, Bob Davies, used to say: “Things have a habit of happening.” You can’t stop them. When you apply this realization to your worries and troubles at a particular point, you will (in most cases anyway) notice that the issues underlying those particular worries and troubles will soon be determined - one way or another. A new status quo will be established and life will go on. Or not. Either way, the worries and troubles are a product of that particular point in time. They are like a storm. They won’t be directly relevant to another time before or after that point. Even if they leave consequences behind, the events that caused them will be gone. You will have come to grips with a new status quo and will (no doubt) start worrying about other things that may or may not occur. Yes, you may well dwell on the past. But you won’t worry about it. The worries of yesterday will be part of the backdrop of your life - not something looming in front. I had all this in the back of my mind on Saturday when talking to some students after class. I mentioned how, almost exactly 29 years ago to the very day, I had suffered a particularly nasty knee injury during sparring in a grading. I threw a roundhouse kick to my opponent and he managed to catch my foot on its retraction. He then proceeded to twist my knee inwards by levering my captured ankle up and around. I tried to ride the force but, quite obviously, my body could not move as fast as the forceful circular twist he employed to my knee. The result was nothing short of catastrophic; the knee was so badly twisted that I limped for months and did not have full use of the knee for a year. 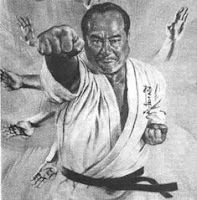 Then in 1988 during a lengthy sparring session in my black belt (shodan) grading, I went to block a kick and fractured the bones in my hand (an attempted application of the kata jion which, needless to say, doesn’t work!). As a result, I still have a sharp lump of bone sticking out the back of my wrist, courtesy of the break that healed crookedly. And I’ve previously written about how I fractured my spine (among other injuries) in the infamous “Decadal Gashuku” in 1990. I’ve also written about other injuries, particularly those resulting from contact, whether accidental or from deliberate “thumpings”. In each of these cases I suffered the relevant injuries without medical assistance or even advice. This seems a rather odd thing to do from my present perspective but, looking back, I used to think that seeing a doctor was only necessary if you were at death’s door. Back then we’d bandage up the damaged body part and carry on. When you’re young you assume everything will heal (and very often it does, if somewhat imperfectly; a young body has a remarkable capacity for healing that is often taken for granted). 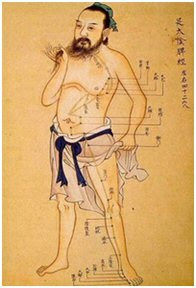 Going back to the subject of “worry”, discussions like this of injuries past have a tendency to produce in my present-day students a note of consternation: might they expect me to go all “old school” on them? Or, as one student asked me on Saturday, is training today not nearly so “hard”? The answer to these questions is that while attitudes have changed, there will be times when you will be faced with challenges in your training that you would rather avoid. This is true whatever your level of commitment to training and whatever your goals and motivation might be. Training in serious fighting arts will always have elements of both hardness and hardship. What do I mean by this? By “hardness” I mean that you will face tests that have an element of danger (ie. injury potential). Fighting is like that, even if it is “just pretend fighting”. My instructor used to speak about levels of sparring as “soft and slow”, “soft and fast” and “hard and fast”. 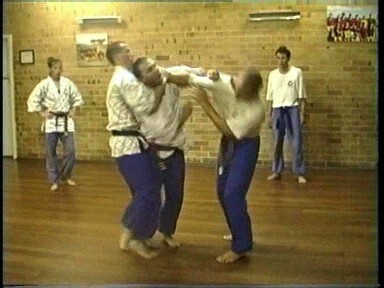 It is the last level that is required of black belts. It involves not only speed, but a level of commitment and penetration in your techniques (not to mention, contact). By black belt you should have a measure of control which helps to offset the danger, but the risk of something going wrong is still ever-present. This is what I mean by “hardness”. You’re not playing with something benign. It is serious business. Just because you’re not doing “hard and fast” sparring doesn’t mean you’re not doing something that is potentially dangerous. There is another meaning of “hardness” that I must also address, and that is: difficulty in learning whatever you’re trying to learn. 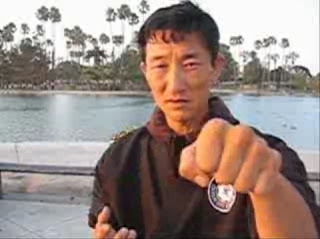 Martial arts techniques require skill; the kind of skill that takes years and years of dedicated practice and concentration. You have to study and you have to do so earnestly and diligently. You can’t simply turn up at the dojo and “check your brain in at the front counter”. This sort of study can be hard. Darned hard. 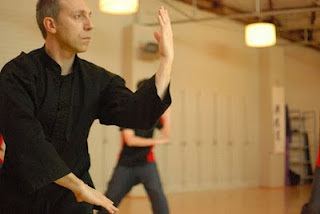 Try concentrating on a complex sword form on the eighth hour of training on the eighth straight day of a martial arts camp. It can mess with your mind not to mention your emotions. 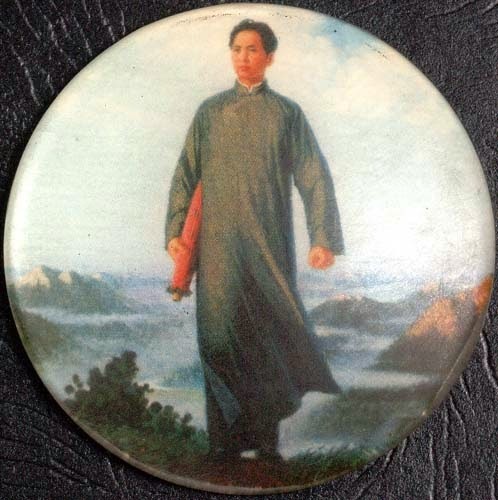 Even if you don’t do martial arts for fighting and you have no intention to “condition” yourself for it, you will still face the inertia that (for most people) accompanies any exercise or other effort. As I’ve mentioned in my article “Why we train”, we humans seem to have two competing instincts which Sigmund Freud called “Eros” (“life” - a desire to get out and do something) and “Thanatos” (“death” - where we just want to lie down and do nothing). These instincts are always in constant conflict. We are both inherently restless and inherently lazy. The latter is always something we have to overcome to make it to the next class. This is made harder if we know we’re going to raise a sweat, or that we’ll have to concentrate on learning new material, but sometimes the inertia presents itself in the mere challenge of making it out the door. 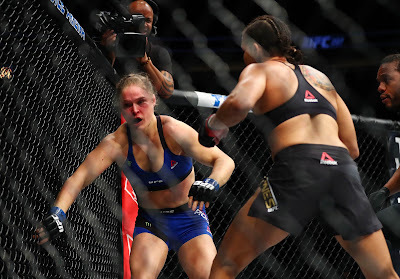 So “hardship” in martial arts might well be relative - but we all face it. It doesn’t matter who you are or what your level of intensity in training is. Just getting to the dojo/kwoon/studio/gym can be darned hard. That is why the Chinese often refer to martial arts as “gong fu” (kung fu) - skill that is acquired through diligent effort. The term has no "martial" connotation whatsoever. Exacerbating both “hardness” and “hardship” are myriad psychological issues: Will I pass my next grading? Will everyone else be promoted ahead of me? Will I forget my kata while performing it before the class or in a public demonstration or competition? Will I make a mistake and hurt someone in a paired exercise? Will my body stand up to this or that? Do I have what it takes to do/learn this movement? Am I too old, too fat, too lacking in talent or intellect, etc. etc.? These are insecurities (real or, more likely, imagined or certainly exaggerated) that we all suffer. Yet our shared experience doesn’t make it easier. Somehow we all plod along in our own isolated worlds of worry about the future. Which brings me back to my discussion at the start of this essay: We martial artists worry about “hardness”. We worry about “hardship”. We worry about a million incidental psychological issues. How do we reconcile this worry with something that is meant to “make us happy” and be “good for us”? If you watch no other video this month on the internet, make it this one. Brené describes her own study of people who are happy and contented and finds one common thread: their ability to embrace their vulnerability. They know they can’t control every variable in their world. And more importantly, they seem to know intuitively that it is their very vulnerability that makes life worth living. But to do this necessarily means that you numb yourself to pleasure as well. If you spend all your time in a state of numbness, you experience neither “ups” nor “downs”. And if life is really like a sine wave (ie. always alternating between ups and downs - which I think it self-evidently is) and you're constantly numbed to this fact, you’ve effectively flat-lined: you aren’t really “living”. Is it possible to live life on a constant “up” and somehow avoid the “down” periods? Anecdotally and intuitively I’d have to say “no”. Brené’s research confirms this. In order to have happiness you must have some unhappiness. In order to feel secure you must accept your vulnerability. To quote Bob Davies again: “You won’t appreciate light until you’ve experienced darkness”. It is contrast that gives meaning to terms such as “happiness” and “sadness”. Without contrast, terms that are largely relative lose their meaning. If you always ate the finest foods and enjoyed the finest entertainment you would soon tire of them. The finest foods would taste not much better than cardboard. The entertainment would be as riveting as watching the proverbial paint dry. You can try to engage in a “war of escalation” - ever increasing the levels of "perfection" in your life. Indeed, this is the psychology that underlies drug abuse; people start with small doses, then find they have to “up” them to get the same effect. And so on, and so on. Such a pursuit of happiness ends up being an exponential escalation. It becomes a fruitless search for that which cannot be found. "Happiness, it seems, is found not in the presence of “happy thoughts”. Rather it is found in the absence of unhappy ones." And this is all predicated on the basis that you actually have some unhappy thoughts from time to time. Without them you have no point of reference. So the next time you find yourself worrying about something in your training (whether it is about “hardness” or “hardship” or some other related psychological issue) accept that this is part and parcel of a bigger package; a package that can ultimately add value to your life by bringing you happiness. As author Robert A Heinlein famously said: “There ain’t no such thing as a free lunch.” This is much the same as saying: “Find me a drug with no side effects and I’ll show you a drug with no effects.” You never get something for nothing. Life is like that. 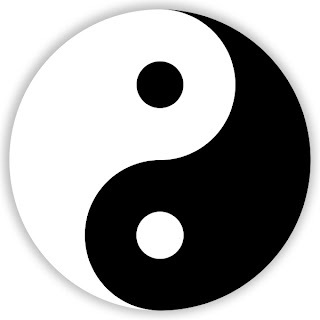 So is martial arts training; a mix of what the Chinese call “yin and yang”. Embrace your vulnerability and you’ll embrace the fruits of your labours. Try to numb it or run away from it, and you will end up with nothing. Remember that every time you back away from a challenge you emerge weaker than you were before.2 Marital arts training is nothing if not a challenge. Face it head-on. And be comforted by the fact that individual challenges are temporary. In the grand scheme of things, they are really quite ephemeral. A storm never lasts all day. But achievement lasts a lifetime. 1. Bob Davies was a great one for storytelling. I'm still "dining out" on the many anecdotes he told me over the years. One of these concerned a young chap who used to train with us and got to a relatively high level (just before black belt, from memory). It seems he was training in the dojo one day when someone carelessly swung a bokken (wooden sword) back and into his face so that the tip went into his eye. He sustained a serious injury and was rushed to hospital. Thankfully he didn't lose his eye - it was saved and all was well in the end (although things were touch and go at one point). However the student (fuelled by his mother's panicked reaction) gave up martial arts training completely as a consequence of this episode. The student (and his mother) had both failed to embrace his patent vulnerability; they chose to deny it. The failure of the student to resume training was not a direct consequence of the danger of the activity. Nor was it due to the level of danger suddenly increasing or becoming apparent (when before it was "hidden"). Rather, the risks were always what they were. The student's abandoment of his training was occasioned entirely by the fact that the student (and his mother) could no longer engage in a denial of the dangers; the accident had made this impossible. Rather than embrace vulnerability and take measures to prevent a recurrence of such an accident, the student chose to give up altogether. I can't help but feel he was poorer for this decision. 2. Bob told me many other stories that illustrated the vagaries of backing away from a challenge. He told me how he once had a student who was an accomplished trumpeter. He was forever panicked by the thought that he might get hit in the lips and be unable to play. It consumed him so much that he quit training. The truth is that I can count on one hand the number of times over the past 30 years that I've seen punches to the mouth sufficient to prevent the playing of a trumpet. His response was totally disproportionate to the risk; it got the better of him and he ended up giving up a hobby he otherwise greatly enjoyed. He emerged weaker for giving in to his fears. 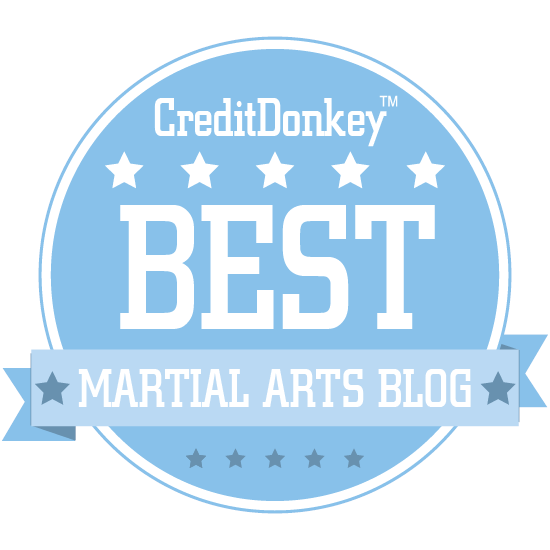 A fantastic article, the message of which extends far beyond martial arts! 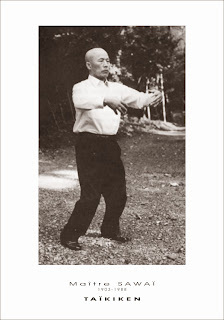 And in relation to hardness - I train in aikido, I guess an art perceived not to be 'hard and fast' but in the last five months have had a concussion, a sprained ankle and a broken thumb. I have also seen a number of those in the class train to the very edge of their physical endurance following lengthy gradings and eight man randoris. I guess in some ways it is not the art itself but rather how you and your club approach it? Yes, it is entirely how you and your school approach things. We all suffer injuries from time to time in training - the thing to do is note the cause and take the appropriate action to minimise the chances that it will happen again. A truly relevant engaging article for all people who experience any level of unhappiness. You continue to share some excellent insights with eloquence and transparency. "Marital arts is nothing if not a challenge", in the final paragraph before the footnotes. I always find it amusing when people (myself included) make that erratum. Timely article for me as I am recently training in Kyokushin after a four year hiatus from Sankukai. I'm also 43 years old and quite often my brain doesn't register that. Tiger Balm has become my friend. 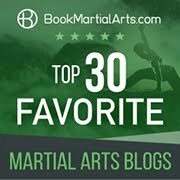 A good read for any martial artist. Thanks so much Xin and Kerry. 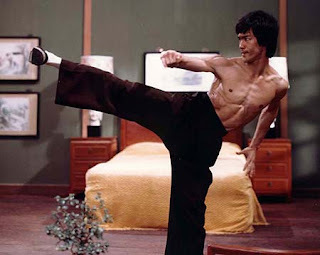 Xin, note my change to: "Martial arts training is nothing if not a challenge." "I always find it amusing when people (myself included) make that erratum." I think you mean "error". An erratum is a correction. 1) Not sure how I feel about the anecdote about the trumpeter. While I understand the moral of the story and in essence agree with it, now that I have an occupation that relies exclusively on my physical ability, I feel like sometimes the risk outweighs the gain. For instance I recently went snowboarding on a family holiday. Sadly I think that will be the last time, as I'm still recovering from two rather innocuous falls. This scares the crap out of me, to think I could lose a job that I love for a couple of weeks of fun? No thanks. And yet, I HATE that I'm making this decision because I recognize its purely based on fear. I am still 'dealing' with this. Thanks Ash - some very valid and thought provoking remarks. As regards the trumpeter, I'll say this: We all have to make risk assessments and balance these against our passions. If you were indifferent to snowboarding, your choice would be easy - the risk would greatly outweigh any benefit. If however you were equally passionate about snowboarding and whatever else you did that might be jeopardised, you might have a different outlook. There is no universal answer. 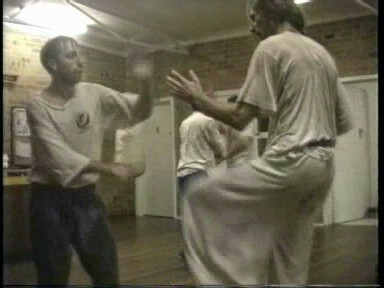 In the case of the trumpeter, I understand he enjoyed the martial training. Was the risk really that great to make him give it up? Personally, I don't think so. As to Brene's last remark - it is important to note that everyone has a range of views and we needn't agree with every one of them. We might have small points of difference that don't really affect the overall agreement we share. Am I enough? I don't know. I do know that having this mindset does not preclude you from being better. It doesn't sound like it is necessarily limiting or complacent. So I think she's really just saying "be contented with who you are". That's a bit different "be content with who you are," if that makes any sense. Dan - thanks for that erratum! Actually, no! Sorry to spam your comment box, but I'm going to fight for this one. Ah - then I stand corrected again! Good to see you fighting! Actually, on reflection what you have said is not new to me and there is a small point of difference I would raise. Erratum is indeed Latin for "error". However this is used in English in a very specific way. According to the Shorter Oxford English Dictionary it is an error "noted in in a list appended to a book or published ina subsequent issue of a journal" - ie. a noted error and its correction. So, it is common for our Government Gazette (for example) to have "Errata" listed. These aren't just "a list of errors", but rather errors and corrections. This is an instance where a Latin word has assumed a different usage from its literal meaning and from its English equivalent. So you are right; an erratum is "an error in a printed or written text". However I would not use it interchangably with "error" unless I were speaking to someone in Latin! Ajahn Chah, a Thai Buddhist master, used to say that "we have to be willing to embrace suffering in order to be freed from suffering". Which is quite the same as what you said. 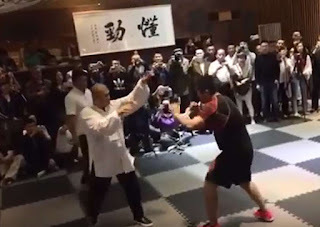 No wonder that one can learn such lessons from martial arts, with tehir Daoist background: just accept the fact that there are ups and downs in life, and live with it. Or, as the Bubishi puts it: "Despair is the conclusion of fools. Tomorrow's success is built upon yesterday's failures. Live in the here and now. Do not seek more but learn to enjoy less." Ashley, as for the "I am enough" bit, I think this is where the subtlety lies (and this is very typical of Daoism and Buddhism). You are fucked, yeah. You want to get better, yeah. And thinking that makes you pressure yourself to the point where you are not happy with what you are. So "I am enough". It's ok this way. Although it's not. But first you have to accept what you are right now, before trying to improve it. I don't know if that makes any sense. Well said Pablo. Thanks for your contribution. Thank you for a thought-provoking article, Dan. Thanks also for the link to Brown's video. My pleasure. I think it is a very important topic. I'm so happy to have come across Brene's speech just as I was thinking of writing this essay. The eye damage: this is why I never let anyone swing a stick, wooden or otherwise, in range of me. If I cannot step back, I would block it with my forearms and then close the distance or increase the distance afterwards. Anybody with anything longer than their arms, I immediately calculate their range and don't step myself into it on purpose and whenever I'm told to do so against other people, I feel uncomfortable. It's the same reason the Japanese didn't shake hands and bowed from a significant distance away. Don't let people in your space, especially when their sword can be drawn and add 4-5 feet to their range. Not unless you want to die, at least. Something bouncers eventually figured out about all the people they had to deal with, shoving themselves into them. Don't let people get in range to attack, and most of the time, they won't. Cause they can't. As for facing challenges, that reminds me of some things. Back in high school, I remember two times that I could have given up. One of them was a sort of football test where you jump up on a platform 6 inches high or something, and then jump down. There were 3 tiers of height available, and the shortest one was used for some kind of "fast twitch muscle drill" where they time you to see how many hops you can do. Well, I got a top speed out of my entire class, but since it was the first time I did it, I sorta slipped once and then twice and landed on the edge on my shins. I blame the second slip on the first slip. IF it wasn't for the influx of adrenaline and endorphines, I'm pretty sure I could have successfully navigated and corrected what caused the first mistake. Didn't play football, but later the PE teacher, who coached football for the school, asked me if I wanted to. At the time, I didn't realize why he would ever ask me something like that. I was in no way "athletic", at least by my judgment at the time. I didn't do those things to "compete" with other people. I decided I was going to do my best at skip hopping, and that was that. After I got done with the skip timed drill, the pain in the shins felt like they were broken and I had to sit down. But I knew they weren't, since I relied on my milk drinking for that. The other time was when I decided to take some weight training and the instructor had us do some voluntary jump tests, on those football 4-5 feet platforms. God knows what they use that for. But you're supposed to jump from a standing start, on top of the platform, and then not fall off. Well, that was a little bit too high for me, so I tried to force myself to jump up there 2-3 times, and my body just stalled and hesitated. The bystanders were laughing it up at that. After I prepared myself and made sure that if I fell, I wouldn't hit my face, I tried for the full jump, and because of squatting 3X my bodyweight, made it. The instructor kept telling a football player that "he actually did it". Like he was surprised or something. I decided to do it. I did it. That was it for me. From a teaching stand point I've always wondered how to get that internal fiber into the various kids who come out of HS and college. I wasn't satisfied with "they either have it or don't". There's got to be some way to melt them down and reforge them stronger. Dan, I think Xin initially meant that you have "Marital Arts" being tough, not "Martial Arts" written. Hahaha. Great article, btw. I think neither. Both stoicism and "hormetism" involve stress. My approach suggests not getting stressed in the first place.